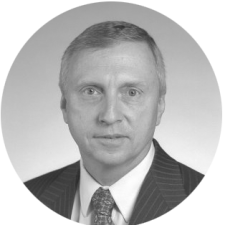 Bill Flis has extensive energy industry executive experience. His leadership experience gives him a keen appreciation of the challenges faced by enterprises and how to implement robust excellence into business plans. After a successful career with ExxonMobil, he has worked with an extensive array of clients on practical and pragmatic operational improvement and change management efforts. His clients include Lyondell Basell, United States Steel, PPG, Valero Energy, Suncor Energy, Sinclair Oil, Enterprise Products, Tesoro Petroleum, HollyFrontier, Irving Oil, PES, Conoco Phillips, Spectra Energy, Hercules Offshore and Nalco Champion.